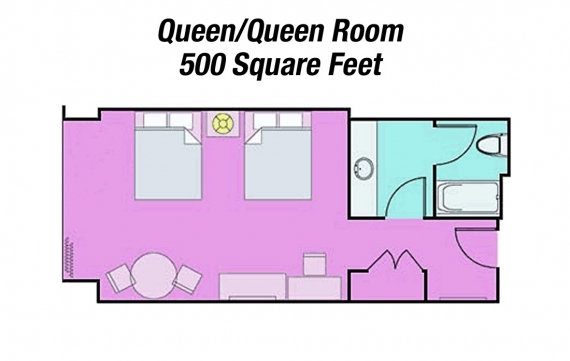 South Point features 500 square foot Premium King and Premium Two Queen rooms. 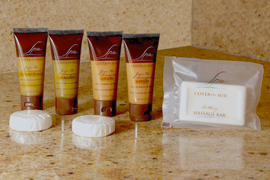 Both hotel room types include all of the in room amenities shown below. In-room Internet and fitness center access is included in the resort fee. The Premium King room sleeps 3 with a rollaway which is an additional charge. The Premium Two Queen rooms sleep four and rollaway beds are not allowed. New room type is available for booking for stays beginning May 1, 2018. 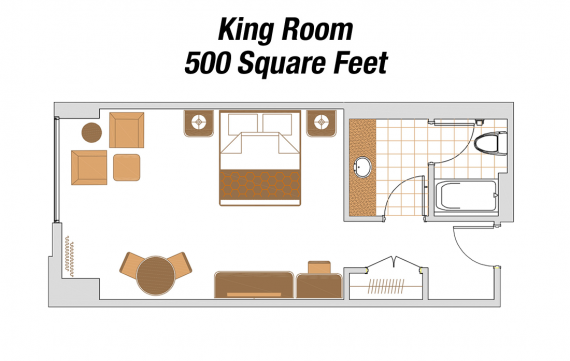 South Point features 500 square foot Deluxe King and Deluxe Two Queen rooms. Both hotel room types include all of the in room amenities shown below. 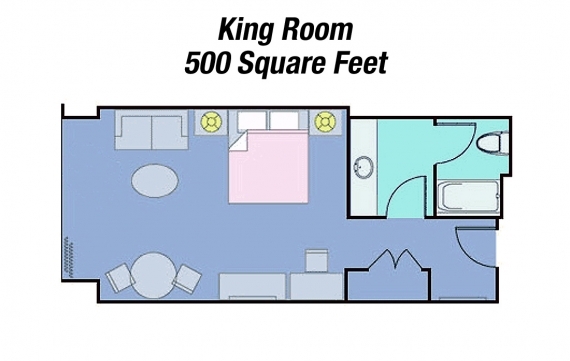 In-room Internet and fitness center access is included in the resort fee. The Deluxe King room sleeps 3 with a rollaway which is an additional charge. 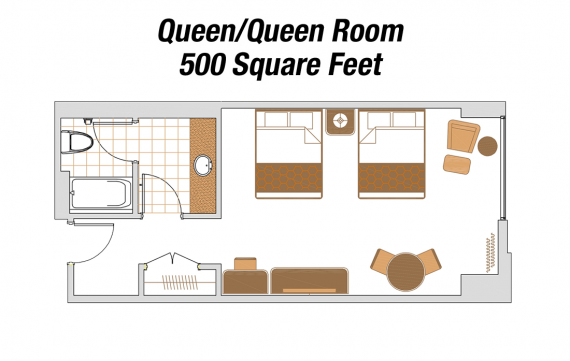 The Deluxe Two Queen rooms sleep four and rollaway beds are not allowed. All 2,079 of our well-appointed guest rooms offer a fine list of standard amenities. Each provided to help transform your Las Vegas getaways and vacations into something truly extraordinary. Whether you prefer our Deluxe King Room or our Deluxe Two Queen Room, your stay will be as relaxing as possible. 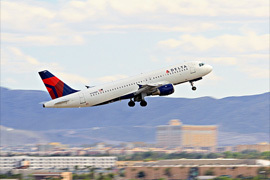 South Point Hotel offers a scheduled shuttle to and from McCarran Airport between the hours of 6:00AM and 9:30PM. 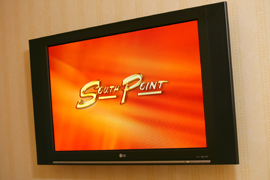 With room service at South Point, you can enjoy meals served with a view of the stunning skyline. Our chefs have put together exceptional in-room dining offerings that make staying as comfortable as home. Catch all of your favorite programs on an in room 42” LED Television that includes all local channels and many of your favorite cable channels too! 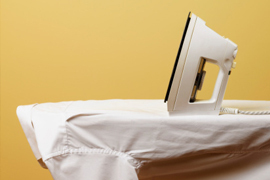 A good steam iron can be your wardrobe's best friend, the right ironing board makes ironing easy, South Point provides both so you can look your best during your stay with us. When you're stranded in a hotel room and longing for a hint of home, don't worry. 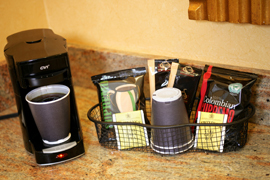 Our in-room coffee maker lets you enjoy the best part of waking up, without ever leaving your room. 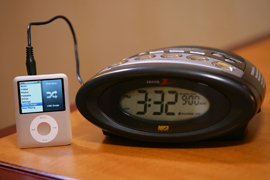 Our alarm clocks allow you to wake to songs on your iPod or radio, and can be also be used for just listening to your favorite tunes. 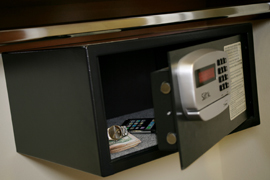 Our in-room safes keep your precious valuables locked up like a steel trap with your personal PIN code. 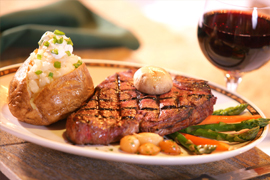 Now you can dine and play with peace of mind knowing your belongings are protected. 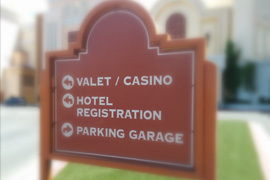 Located just a few steps from hotel check in, our curbside valet service is provided free of charge to all guests and visitors. Our upgraded bathroom amenities will leave you feeling fresher and cleaner than ever before. Rest easy. Get a good night's sleep with the Point Plush Sleeper Mattress. Layers of quilted softness, memory foam and supportive springs conform to the body, reducing pressure points and providing just the right amount of cushioned support. Need to make a call? Need a wakeup call for breakfast? No problem. 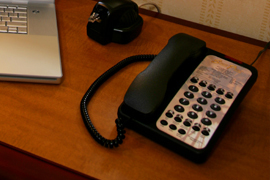 Our rooms include a telephone setup for local calls free of charge.